Brookhaven Retreat, a unique residential treatment facility exclusively for women with mental health and/or substance abuse issues, recognizes the unique emotional and mental health needs that accompany the aging process. September is Healthy Aging Month, an annual celebration of the aging process and recognition of its impact on individual lives. The aging process has physical, social and mental effects on women’s lives. Brookhaven Retreat recognizes the unique challenges women face as they age and addresses many of these in its residential treatment facility. Physical challenges associated with aging can impact women emotionally. Physical and mental health are closely related and each can deeply affect the other. By best caring for their physical health as they age, women can enjoy improved mental and emotional wellness. However, if physical changes lead to depression or anxiety, women may benefit from seeking emotional help. Because women frequently outlive men, many older women struggle with issues of grief and loss. It can be difficult to deal with this pain alone. Natural grief can evolve into depression, isolation and addiction as women seek relief from pain. When grief remains unresolved or worsens into mental illness, appropriate treatment should be sought. 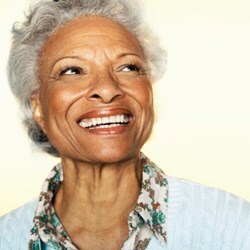 Brookhaven Retreat is experienced in addressing the causes of mental illness among older women. It offers a variety of treatment techniques that help older women overcome mental health and substance abuse issues. By addressing issues of self-esteem, nutrition, sleep and medication, women are able to build a stable foundation for wellness. Individual, family and experiential therapies identify and treat the source of emotional issues and equip women with the skills to best manage their lives. Without treatment, women may increasingly isolate as their suffering worsens. Only when their suffering has become unlivable may family members realize there is a problem that requires residential treatment. Mental illness poses a serious risk to older women because depression and anxiety are often dismissed as normal symptoms of the aging process. It is crucial for women and their families to make a distinction between normal grief, worry and medication management or depression, anxiety and substance abuse. Brookhaven Retreat acknowledges the serious, harmful effect of mental health concerns on older women’s quality of life. In September, it urges women who feel they may be experiencing mental health issues to seek appropriate help immediately.